So what happens in Call of Duty Black Ops 4’s new Zombies mode? A discussion of philosophy? Hardly — they don’t call it Chaos for nothing. The main point is the zombie shooting gallery, not the story, but we love how pulpy this one is: the main character has been given the supermarket paperback name of Scarlett Rhodes, and together with three loyal friends she’s out to solve the mystery of her father’s disappearance. They find an ancient relic that sends them back in time and ALSO happens to turn every living thing around it into a zombie. Don’t you hate it when that happens? 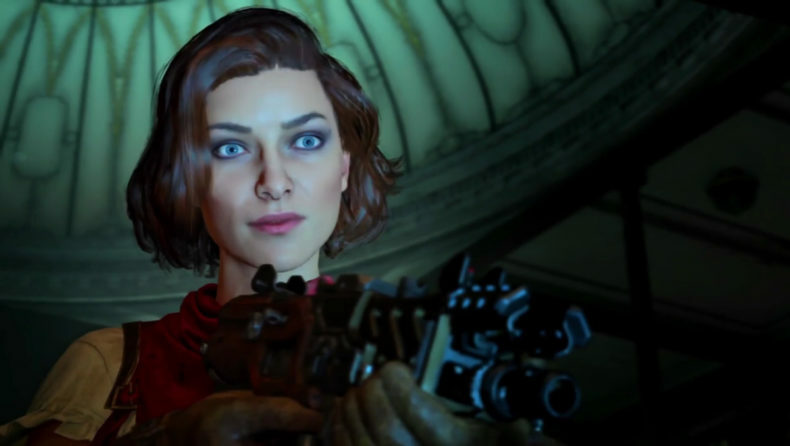 This trailer covers scenes from the first two chapters of Zombies Chaos: Voyage of Despair and IX. In the first, the characters are transported to the as-yet-unsunk Titanic, and in the process, everyone there is turned into a zombie. In the second chapter, they fall into ancient Rome, where the same thing happens. The third chapter, Blood of the Dead, is not previewed in this trailer, but all three chapters will be accessible on launch day — no downloading necessary. The zombie tiger with the glowing eyes you see before you is just the beginning. In short, things get crazy in the Zombies mode of Call of Duty Black Ops 4, coming October 12 for Playstation 4, XBox One and PC.